Fast dispatch within 1-2 business days. 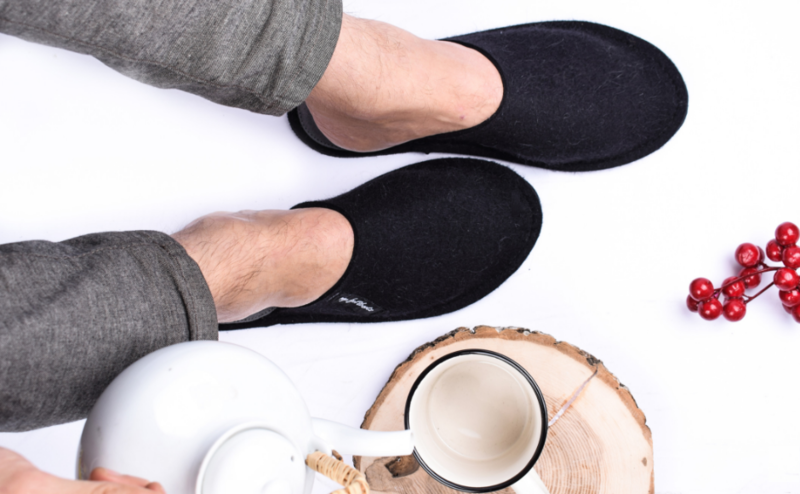 It's a really pleasure to slip in felted slippers every single morning. 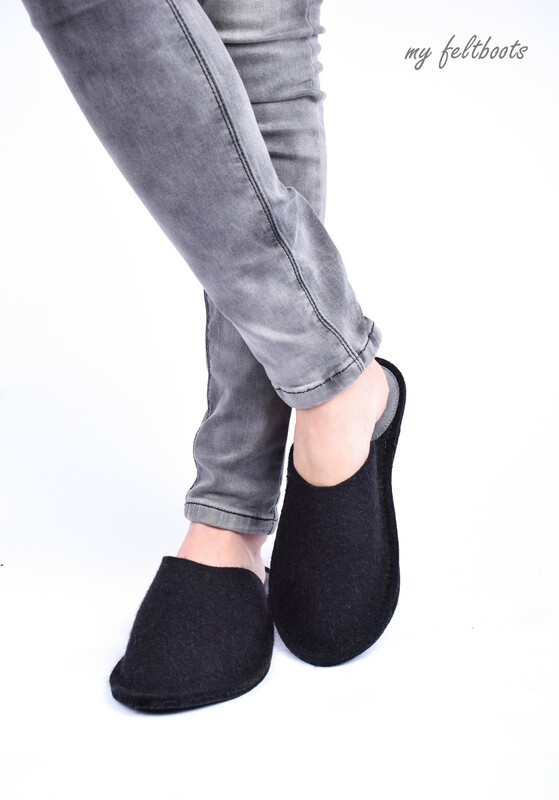 Wool felt is so cozy, so natural and comfortable to wear when you slip into my feltboots. 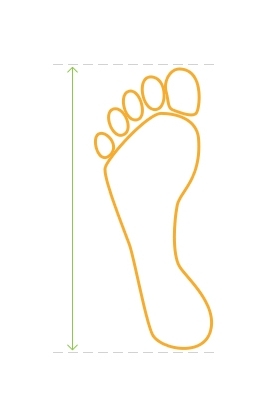 Simplicity and minimal approach made this design clean and pure. Yet functional. 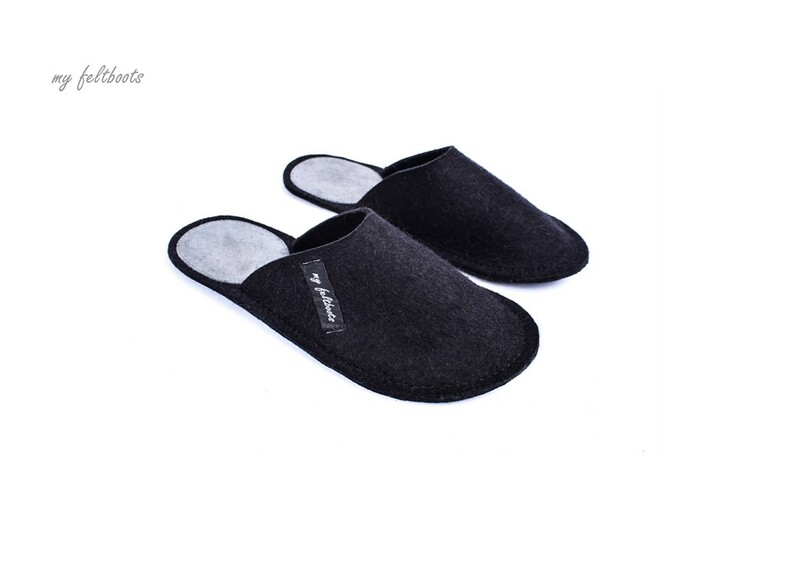 Unisex style felt slippers are dedicated both for men and women. How to feel home everywhere? 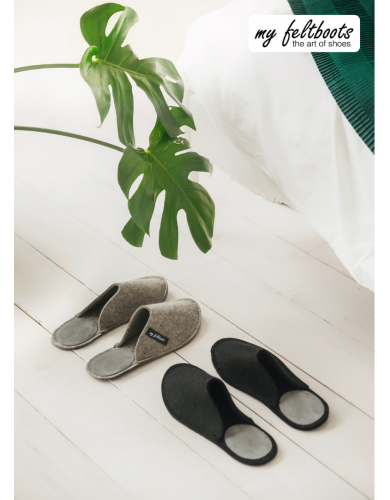 When travelling for work or leisure take your pair of felt slippers with you. 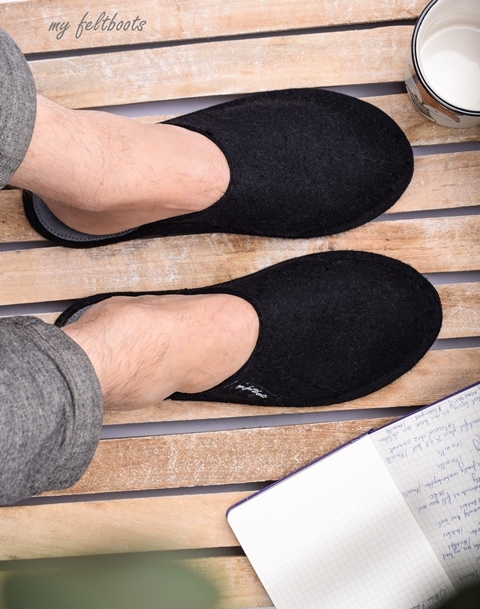 my feltboots slippers are lightweight, yet homey. Take the feeling of home with you. 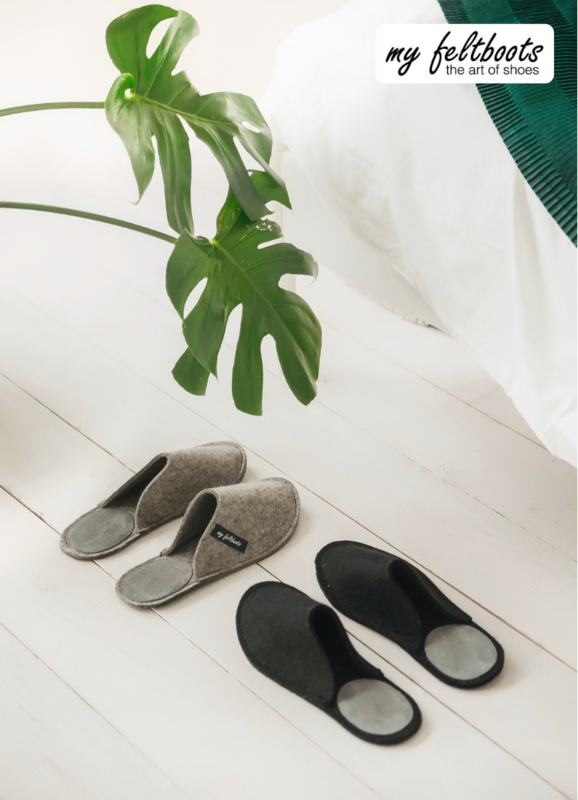 Slip into felt slippers and make the whole world your home. 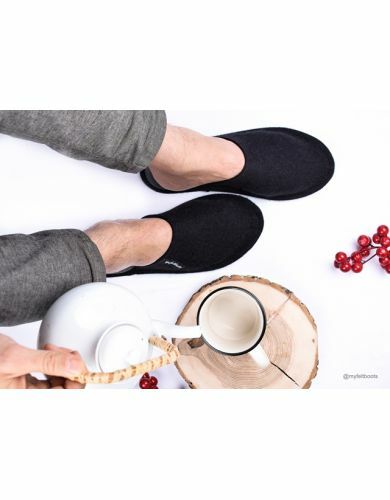 Feeling comfortable is one of life’s simple pleasures. 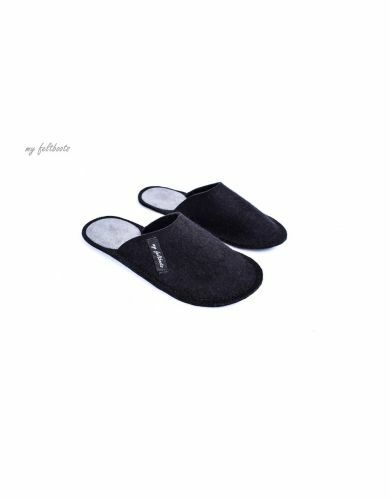 Step out in comfort with my feltboots unisex felt slippers. Need a gift for men or gift for women? 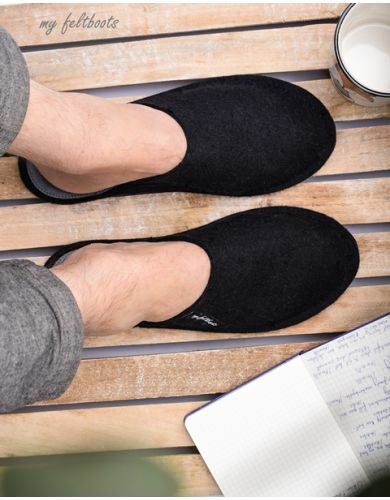 Just think of a pair of comfortable, breathable and aethetic felt slippers. 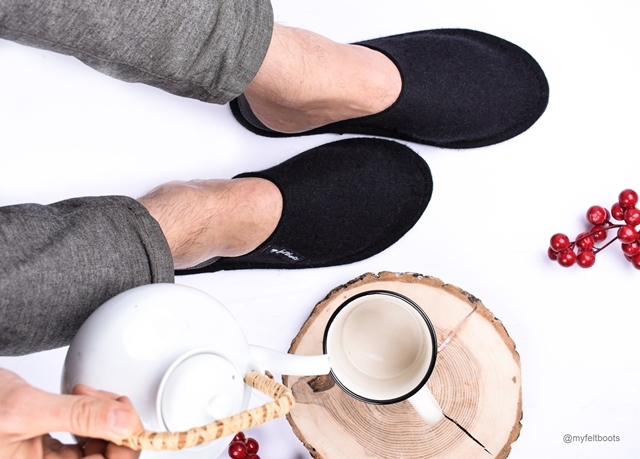 Everybody needs perfect slippers to put up one's feet and relax. NOTE. 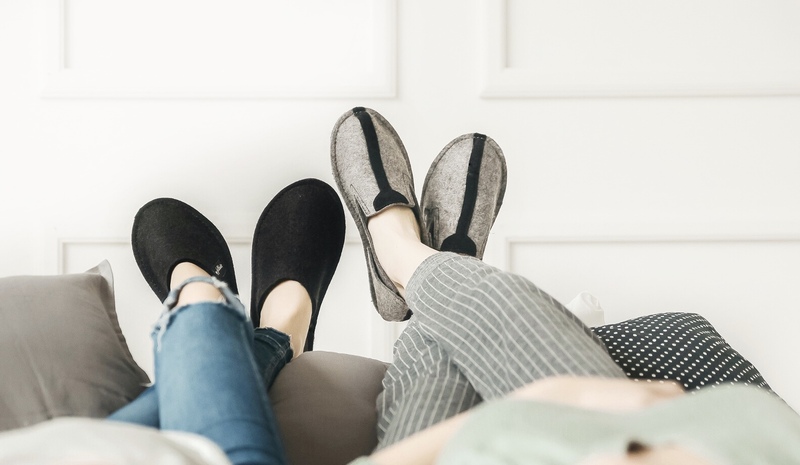 Slippers can have another shade of wool impurities. 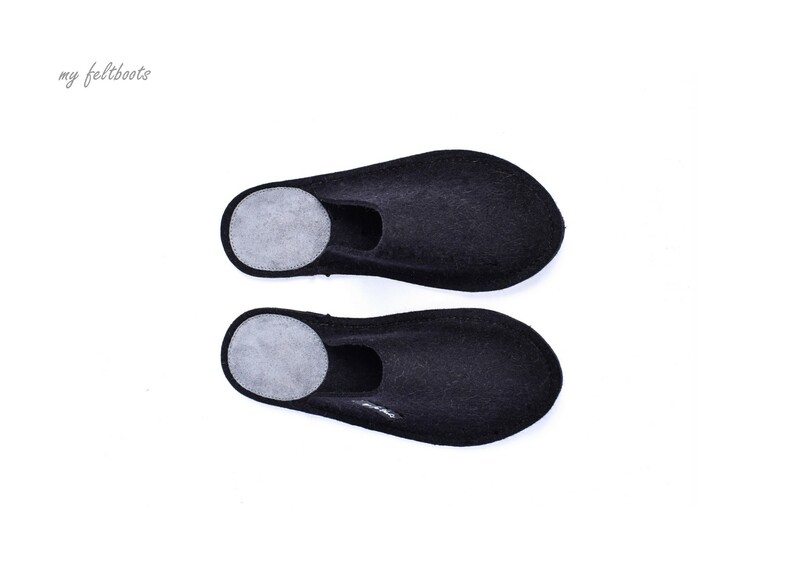 It is not considered a defect, but a natural feature of wool. The colour of footwear and leather part may slightly differ from those in the photos.